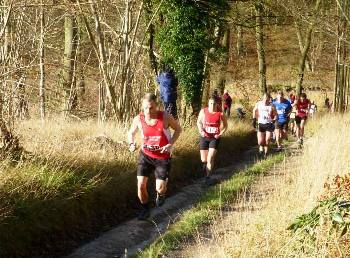 The Thames Valley Cross Country League is based around 8 races held from October to February each year. Events are held on Sundays with an 11:00 AM start time - each course is usually a mixture of woodland trails and parkland and is normally about 5 miles in length. Originally sponsored by Today's Runner magazine, the original idea was that racing in the league should encourage friendly competition and ensure that everyone is able to participate in and enjoy the events. Although no longer sponsored by the magazine, the original spirit of the league is still stands.